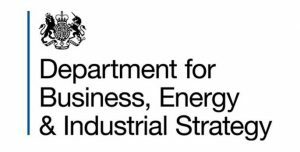 BEIS is inviting comments on the draft guidance, which will accompany the new Regulations that implement Streamlined Energy and Carbon Reporting (SECR) and come into force on 1st April 2019. The changes introduced by the Regulations amend the existing requirements for quoted companies of all sizes on Mandatory Greenhouse Gas Reporting that have been in place since 2013, and introduce new requirements for large, unquoted companies and Limited Liability Partnerships (LLPs). The draft guidance document is designed to replace Chapter 2 of the existing Environmental Reporting Guidance, to reflect the changes in the legal requirements for financial years which start on or after 1st April 2019. It also includes a draft template for reporting by organisations, including those reporting on a voluntary basis. 1) Is the guidance clear to follow? 2) Does the guidance differentiate sufficiently between the different requirements for quoted and unquoted companies/LLPs? 3) Does the guidance strike the correct balance between the need to ensure that meeting the minimum legal obligations introduced by SECR legislation without excessive administrative burden, as well as the need for consistent and transparent disclosures? 4) Does the guidance give sufficient flexibility for those organisations that want the option to go further than what is legally required e.g. organisations reporting scope 3 emissions? When developing the proposed guidance, BEIS was mindful of the wider context of GHG reporting advice contained in the Environmental Reporting Guidance that goes beyond the legislative changes that this review considers. BEIS will also consider if further updates to the Environmental Reporting Guidance are required, and as such, BEIS is seeking views on how the wider guidance might be updated in the future, as far as they relate to energy and GHG reporting (Chapter 3) and the related annexes. Comments that relate to the draft guidance document are most helpful if they indicate the specific paragraph, or groups of paragraphs, to which they relate, contain a clear rationale and, where applicable, suggest an alternative approach or text. Comments relating to wider Environmental Reporting Guidance (Chapter 3) should be principle based and considered in the context of a potential wider review of the guidance later in 2019.